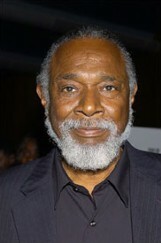 Ivan Dixon, an actor, director and producer known for his role as Kinchloe on the 60s television series “Hogan’s Heroes,” has died. He was 76 years old. Dixon died Sunday at Presbyterian Hospital in Charlotte after a hemorrhage and of complications from kidney failure, said his daughter, Doris Nomathande Dixon of Charlotte. This entry was posted on Wednesday, March 19th, 2008 at 3:59 am	and is filed under Amazing, Interesting, People. You can follow any responses to this entry through the RSS 2.0 feed. You can leave a response, or trackback from your own site.